Manchester City will be looking to get back to winning ways and close the gap at the top of the table when they take on Arsenal at the Etihad Stadium this afternoon. Pep Guardiola looks to have switched to a back three with Ilkay Gundogan coming in alongside Fernandinho in midfield. Sergio Aguero leads the line up front with Raheem Sterling in support. Arsenal are without a number of players as Granit Xhaka, Henrikh Mkhitaryan and Ainsley Maitland-Niles failed late fitness tests. Unai Emery goes with a back three of Shkodran Mustafi, Laurent Koscielny and Nacho Monreal while Stephan Lichtsteiner starts at right wing-back. 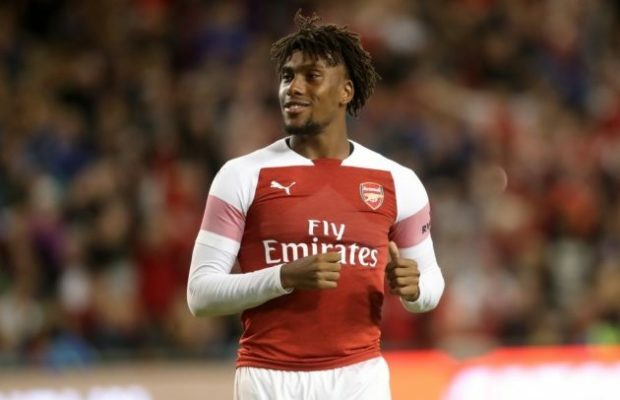 Matteo Guendouzi gets the nod in midfield with Alex Iwobi replacing Aaron Ramsey in attack. Mesut Ozil also drops to the bench where he’s joined by new Arsenal signing Denis Suarez. Leno, Lichtsteiner, Koscielny, Mustafi, Monreal, Kolasinac, Guendouzi, Torreira, Iwobi, Lacazette, Aubameyang.